All of these projects were done with homeowners who did some of the work themselves after I taught them how to do it. Some homeowners required more help than others. They were all very proud of their work when they were finished and I was very happy to have taught them a new skill. There is a separate portfolio page for full-service projects. Erin wanted to remodel two bathrooms over a two week vacation time. She wanted to do as much as possible herself. Drew removed the toilets, showed Erin how to cut and lay tile, left her all the necessary tools and then checked in with her throughout the project. Erin did one bathroom at a time. Drew would come back and give her hands-on instructions on how-to do the next step. As you can see, Erin did a great job and has since moved to a new home and called us back again to help with more projects. 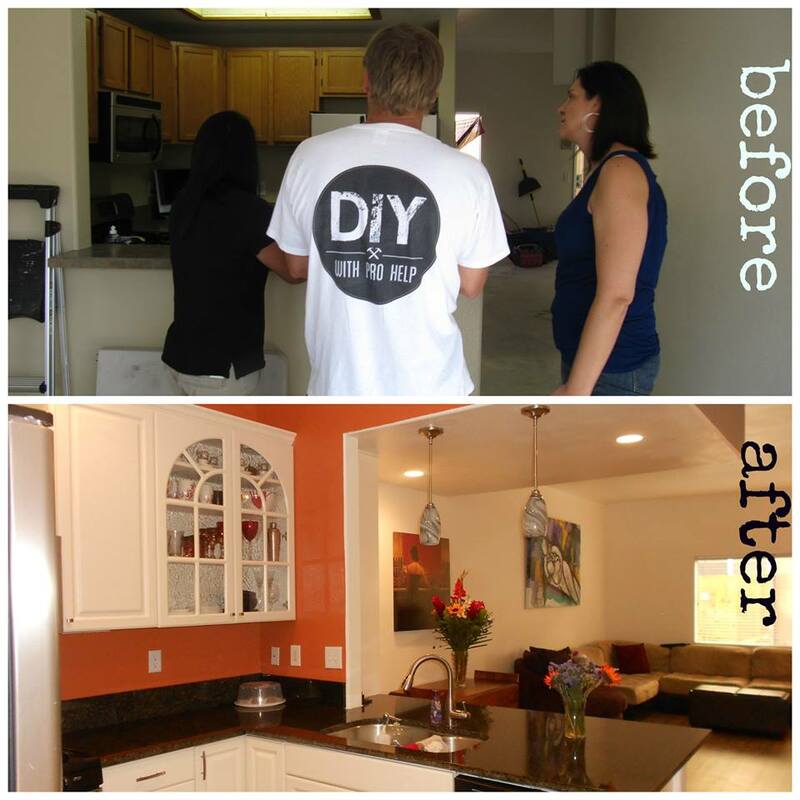 We hired Drew and Christy to help with the remodel of our new home in April, and we are SO glad that we did! 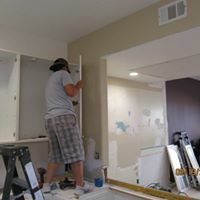 We knew that we could save money by updating the home ourselves, but didn’t have the knowledge or experience to do it correctly without professional help. Hiring DIY with Pro Help was a wonderful middle ground, allowing us to learn along the way while making sure that everything was done safely and properly. Our remodel included installing new tile in the 2.5 baths plus removing old carpet and installing hardwood flooring in the living room, downstairs hallway, upstairs hallway, and on the stairs. They had all of the tools we needed to get the job done (tile cutter, chop saw, table saw, nail gun, and SO many more that my husband and I didn’t even know we would need! ), plus Drew was very knowledgeable and down-to-earth working long days with us, keeping the hard work feeling fun! We have already been recommending them to local friends, because we were so impressed and satisfied with our experience. Definitely work with them for any remodel needs!